2017-02-01 - Week 2 of the League! So this write-up isn't too late. If you're reading this, you're undoubtedly here for the bonus point. So, let's cut straight to the chase. Thanks to all the teams for coming out last week. Congratulations to N*PLSYNC on their clean sweep of both games. Also, congratulations to the Mouseaholics on 2 straight second place finishes. Well done! 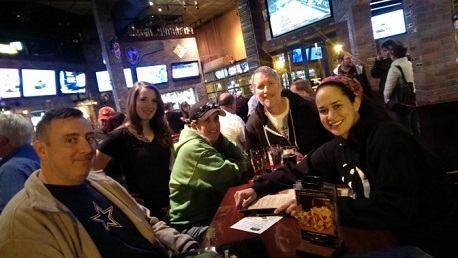 Don't forget to keep track of the league standings, and make sure you're a registered team on our site in order to qualify for the first PubGuys Trivia Bowl. Now, for your Scavenger Hunt question. Find the largest city in the area code that matches up with the height (in meters) of the tallest building in the hometown of the person who played Justice in a movie described with the following tagline "Someone is making their life story into a movie, and they haven't been paid. So they're on their way to Hollywood to get even."